Consul-General, South African High Commission in Nigeria, Ambassador Mogethi Monaisa, on Monday said the commission sometimes deny issuance of its visas to Nigerians it discovered to be having criminal records. He said Nigerians should facilitate their visa processing by submitting it to VFS Global. “This is the company that the commission has authorised to facilitate the processing of visa applications submitted by Nigerians. 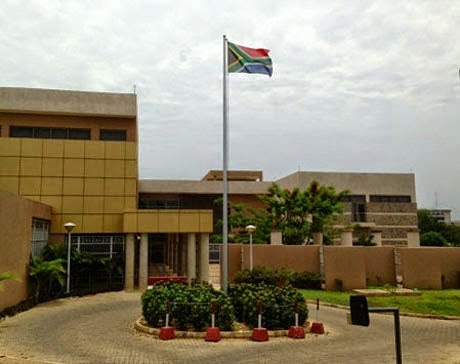 The South Africa High Commission wants Nigerians applying for visas to know that it is only VFS Global that is recognised by it to facilitate visa applications on its behalf,” Monaisa said. The consul-general advised Nigerians to desist from patronising unauthorised agents and intermediaries who would charge them huge fees and end up without achieving any results, adding that such act was illegal. "They should know that VFS is our only agent to handle issues of visas for the commission,” he said. Monaisa said the commission would deny such Nigerians the South African visas if it discovered it, noting that the applicants would also forfeit the fees paid to such illegal agents. He assured Nigerian applicants seeking to obtain the South African visas that the commission would grant their requests as long as they satisfied the requirements guiding the issuance.